Albany, US, 2019-Jan-22 — /EPR Network/ —Currently, the Medical Transcription Services Market is innovating itself due to the growing market trends and stiff competition in the global market. 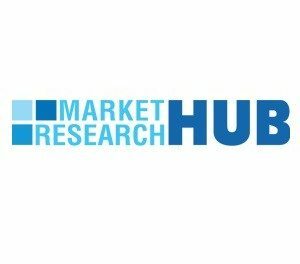 Recently, a fresh report focusing on the “ Global Medical Transcription Services Market” Size, Status and Forecast 2019-2025 has been broadcasted to the huge database of Market Research Hub (MRH), which aims to present a decisive analysis of the major facts such as drivers, restraints and opportunities present for the active as well new entrants in the market. Also, the insightful report provides thorough analysis of global Medical Transcription Services Market right from past trends to market forecast from 2017 to 2022 to its readers. Medical transcription (MT) is an allied health profession, which deals in the process of transcription, or converting voice-recorded reports as dictated by physicians or other healthcare professionals, into text format. Medical transcription services provide the groundwork for the adoption of electronic medical records (EMR) system. Medical transcription services allow hospitals and providers to outsource a critical business process, reduce costs, and improve the quality of medical documentation, without additional capital investment. The global medical transcription services market is primarily driven by adoption of medical documentation and recording systems, governments initiatives in health information infrastructure, implementation of EHRs, technological innovations through the use of electronic technology to reduce turnaround time, increasing focus on lowering costs and increasing productivity and improving the quality of patient care while ensuring patients safety. In 2018, the global Medical Transcription Services market size was 5000 million US$ and it is expected to reach 7730 million US$ by the end of 2025, with a CAGR of 5.6% during 2019-2025. This report focuses on the global Medical Transcription Services status, future forecast, growth opportunity, key market and key players. The study objectives are to present the Medical Transcription Services development in United States, Europe and China.